I liked Blue henley and Commando in RotTR. Desert tank top was pretty cool, and that's it. In the next game I would like an outift like the one Alicia has while on motorbike. It was great IMHO. 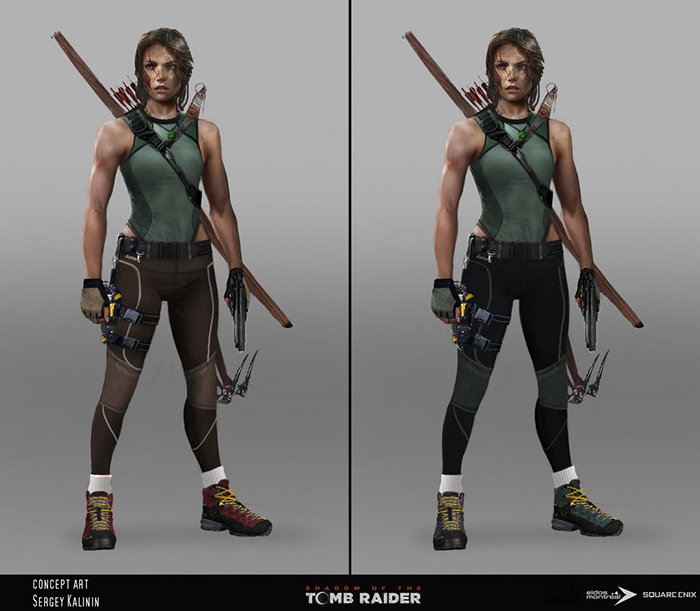 As the main outfit, I would like to see a redesign of SotTR's outfit to look less tactical and more sport-based. Something similar to this art Melonie shared once, but with the SotTR's colour scheme. As for other outfits, I just want a reimagined version of the Nevada outfit! Something like a sport's bra similar to that Alicia wears during the boxing scene in the movie, and some cool blue cammo pants. Same here! My most used outfit in RotTR! Was so disappointed that the version in SotTR looks so dark! Last edited by Portugalraider; 01-02-19 at 16:55. I would like another reimagined classic outfit, blue top, khaki pants, brown boots and a braid. Dual holsters as well, there's no need for one lame single handgun. I liked the thought behind Shadow’s default, so more like that would be nice. Better fitted, sleeker, with splashes of colour should be the design philosophy going forward. I’m a sucker for casual outfits like the appropriately named Casual Explorer and henleys too. We need to have some shorts, especially if she is going in the desert. I would like to see her sporting a red top like Cloe's outfit from uncharted, but with shorts and high leather boots. Stuff like you suggested would be amazing. I love that art.